We were lucky enough to have a guest in our home for a week or so this October, followed by several days at the Rocky Mountain Audio Fest. 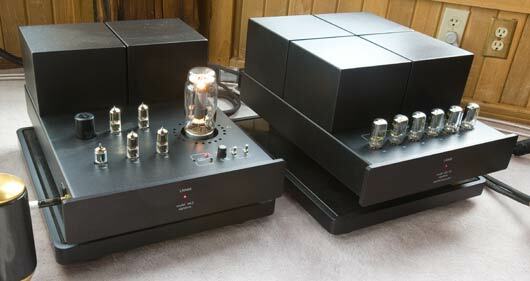 This rather prestigious guest was the Lamm ML3 Signature amplifiers. For technical details, I refer the reader to the Lamm Industries’ website. Suffice it to say here that the ML3 is Lamm’s flagship 4-box amplifier (two boxes per channel, one of which is a power supply) that sells for $139,290.00. This review is more of a thinking piece than most magazine reviews. Let’s face it, a amplifier at this price point, from a company with extremely good price/performance on all of their other products [not a clunker in the bunch], is bound to sound pretty good, right? Not only that, it is bound to sound good in ways that are hard to explain in terms that we normally use to describe most other components. Perhaps we’ll write a follow-up review with all the “Wow!”s and “This song you never heard of before sounded like THIS”es. But for now, we are going to look at just what amplifiers were supposed to have been doing all along – and how the ML3 is actually very close to finally accomplishing this. To try and explain the depths to which we listened to and analyzed the ML3, I present a little background on how we analyze the sound of components here [a categorization that has been refined quite a bit recently, both because of the ML3, and also the Audio Note Kegon Balanced amplifiers, the EMM Labs TSD1/DAC2, and Nordost ODIN cables – all of which are break-through designs. Designs that make previous designs look clumsy and haphazard]. Definition: Taking a small signal and making it large enough to drive a wide variety of loudspeakers. Evolution: Amps. Amps. Amps. Thousands. Tens of thousands. Decades. More decades. Sweat. Frustration. Compromises. Theories. Contrivances. Hyperbole. Failure. Failure because the listening experience was unsatisfactory. Unpleasant, Unconvincing. The goal was redefined. Improved. It was not enough anymore [for some] to just be able to drive a speaker. Not enough [for a few] just to minimize a marketing-driven chimera… Total Harmonic Distortion. Now: 1. Contribute nothing to the signal but gain. 2. Control speaker so well that the sound produced is an exact facsimile of the signal entering the amplifier [that the speaker-amplifier subsystem work well together is the most important part of high-end audio system design]. Looked at another way – it is all about transforming information from one domain to another. Transforming information present in a small electrical signal on a wire into sound waves that carry the same information. It is all about preserving information, the information present in a small electrical signal that is specific to sound reproduction. Information theory is a dense subject – and it is unlikely that many audio amplifier designers take information theory into account when they design their amplifiers. But as listeners we all do indeed understand which information is absent, and which has been mangled, if only subconsciously. Or emotionally. Dynamic information. 1st order. Magnitude of a note. Is the loudness we hear what it is supposed to be. 2nd order. Rise and fall of the loudness. Is the way the notes gets louder, and then decays into nothingness what it is supposed to be. 3rd order. Are the associated harmonic frequencies of the note also rising and falling correctly. 4th order. Notes interaction with other notes. Is the way the notes interact with other notes, occurring during or immediately before/after a note, behave correctly. Timing information. 1st order. Are note leading edges occurring when they are supposed to. Do we hear a beat. 2nd order. Are all parts of the notes, crests, decay, end and various subparts of the notes occurring when they are supposed to. 3rd order. Are notes occurring when they are supposed to at all volumes, all frequencies, all levels of musical complexity. Harmonic information. 1st order. Are the basic tones at the correct frequency? Does it ‘sound right’. Are the under and over tones present and correct? 2nd order. Are the various subtle changes to the tone, from natural instruments, present and correct?. 3rd order. Are the tones correct at all volumes, all frequencies, all complexities? The reverse side, the dark side perhaps, of analyzing what we are hearing is to understand and classify the many ways that the result of the information transformation from the electrical domain to the acoustical domain [i.e. the sound we are hearing] differs from perfection. To talk about how a component differs from perfection, rather than how great it sounds. To talk about flaws. This is only useful if the number of flaws is small – there is only one way to do something right, and unaccountably many to do them wrong [sometimes I think the internet isn’t big enough to describe all the flaws in some systems, and I’m certainly too lazy to try… ergo the Flaw Categorization scheme below]. Usually people just measure frequency response: how the 1st order of dynamic information differs from what it should be for a given frequency. There is a heckuva lot more to enjoyable sound reproduction than this. Types of flaws: Dynamic, Timing or Harmonic. Magnitude of flaw. How large, how egregious, is the flaw. Non-linear flaws call attention to themselves much more than linear flaws. They make the music sound strange. Not real. Suffice it to say here that, when listening analytically or otherwise, emotional responses complete the feedback loop. If something doesn’t sound ‘good’, that means we are reacting emotionally [negatively] to it. That there are flaws afoot. If one cares to, and the system is not completely useless, one can listen more deeply and find out WHY the sound is flawed. The point of presenting this way of analyzing what we are hearing [More on this way of looking at and listening to audio in a future article] in a review of the ML3 is to show to the extreme depth to which the ML3 is performing as the prefect amplifier. Able to transform an electrical signal into something that, in this case the Marten Coltrane Supreme loudspeakers, can reproduce as sound waves that bring us back to our roots – what we expect [hope and pray!] an amplifier to sound like. That is, when we analyze the sound of a component here at Audio Federation, we listen very deeply into the music, listening to the various orders of dynamic, timing and harmonic information, then try to characterize how this information has been mutilated [flaws], and finally to our emotional responses. And the point is that, vis-a-vis the ML3, the flaws are exceedingly small; much, much smaller in comparison with other amplifiers, and the flaws that exist are very linear. In fact, the flaws are so small and well-distributed, that it is unclear to me whether the flaws should be attributed to something else, and are in fact an intrinsic part of our media, cables, sources or speakers. For one example, let’s look at dynamics. Specifically the flaws in dynamics as heard on our system here and at RMAF. To my ears, 2nd, 3rd, and 4th order information was preserved so well it was a transfixing experience. This is a credit to the entire reproduction chain – but specifically the amps, because this kind of ‘correctness’ is very rare and it hasn’t smacked us in the face like this before [but see our forthcoming Nordost ODIN power cord review – we are starting to hear shades of this correctness elsewhere.]. But the 1st order dynamics, magnitude, is still not correct. No amplifier speaker combination can yet reproduce the real dynamics of a hitting of a single key on a piano, for example [one can quibble about whether a live electric guitar is by definition always correct later. Much, much later. :-)]. But given the linearity of the dynamic response of the system across various media, and given what we know about cables’ effect on dynamics [re: ODIN], how some digital players tweak dynamics in a non-linear fashion [see previous shootouts on the Audio Federation blog], and of course the speakers, which like all speakers are not 100% efficient, the amps appear to be completely linear, and are reproducing in exact correct proportion the magnitude of the signal they are given – EVEN IN THE REAL WORLD OF PLAYING REAL MUSIC. This is the point I am trying to make. What an amplifier does is extremely simple. But it is dealing with a very subtle and complex signal – music – and the ways it can mess this up are extremely numerous and complex. The ML3 doesn’t mess up in the ways that amplifiers usually mess up. I am arguing that the ML3 is, like the Coltrane Supremes and the ODIN before it – the first, truly competent, amplifier. Designing systems around these components is different than around other components. Their own flaws are not only so very small [given the real-world limitation of physical laws and the conventional implementation of these audio components], but they are also NOT designed to compensate for inherent flaws elsewhere in the system or media. These ‘competent components’, these perfectionists, just reproduce the sound they are given. With much, much better success than most other components. They don’t play ‘games’ with the sound. Now a system of all perfect components may not be for you. Maybe just one or two will be preferred. Some people seem to find the media itself, whether digital or analog, to still be missing something and want an extra zing. 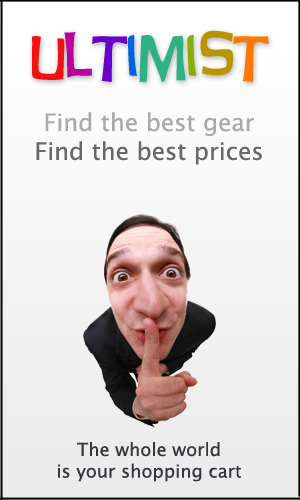 Others just prefer the sound to be ‘better than real’ and want some extra zoom. For most people, a system filled with perfect components might only be a start – followed by tweaks of special cables and components to tailor the system to fit their personal, and doubtlessly idiosyncratic and unique, taste, exactly. Or should I say… perfectly.